The English transfer window closes in two weeks time with several clubs rushing to complete deals before the start of the season. 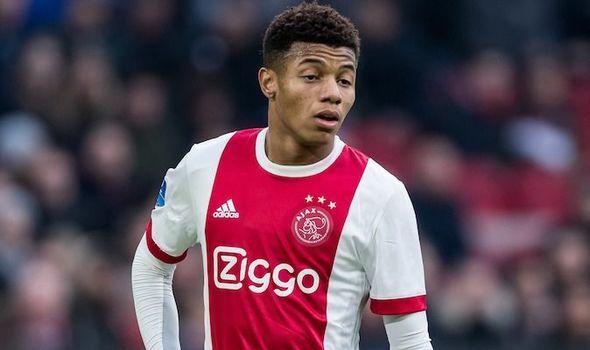 one major transfer target is Ajax winger David Neres, the 21-year-old was outstanding for the Dutch giants last season which has led to interest from EPL sides. According to TeamTalk, Arsenal, Tottenham and Liverpool have contacted Ajax on the availability of the Brazillian this summer. Ajax are known as a selling club and have apparently quoted a fee worth £45 million for the youngster. Arsenal are believed to be keen on the player as Unai Emery wants to add some width to the Gunners squad. Emery recently admitted that a new signing may be on the horizon despite signing five players this summer. Neres showed last season that he has the potential to be an all-round attacker as he contributed 15 goals and 14 assists in all competitions. Neres has apparently submitted a transfer request as he seeks to force his way out of the club this summer. Neres would be a good signing for the Gunners as he is a young and talented player with years ahead to develop. Though it remains to be seen if the club would sanction such a huge fee for an untested prospect.